First of all, is Egypt safe to travel in right now? Claudia Tavani, a travel blogger at My Adventures Across the World had to say the following: Egypt is as safe as other developing countries for solo female travellers, and the safety measures you should adopt are just the same. Egyptian men may be keen to comment and whistle on the looks of a Western woman passersby, but will hardly dare do anything more than that. Strongly and firmly ignoring them (without even looking at them, I would say!) is enough to discourage them. Some areas of Cairo are more modern and westernized than others, and you may find women wearing miniskirts and tight clothes. But generally speaking, you will go more unnoticed if you dress up more conservatively. Now for five essential words in Egyptian you should know! Thanks to Jai for the words, and check out her blog for even more! 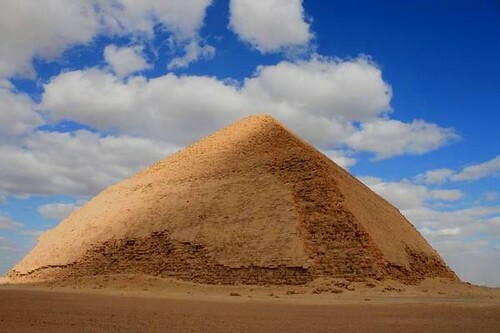 The other two, slightly smaller pyramids are named Khafre, built by the son of Khufu (of same name of his pyramid) from 2558–2532 BC and Menkaura, built by the son of Khafre (same name as his pyramid) from 2532-2503 BC. Khafre, the second largest pyramid, also included the Great Sphinx in it’s build, who’s face was suppose to resemble himself (until it became target practice for Napoleon and his army, among others). Definitely one of the best things to do in Egypt! Other historic an sweet monuments and things you should see in Alexandria are Abu El Abbas Mosque, the Anfushi Tombs, Citadel of Qaitbey, the Roman Amphitheater, Montazah Palace and Gardens, the Pompey’s Pillar and more. Definitely come visit this city named for Alexander the Great. Luxor is located in central Egypt and is home to many of the most fascinating relics of ancient Egypt, including Luxor Temple and the Valley of the Kings. Luxor is now a large modern city that sits atop the ancient city of Thebes, which was once the capital of ancient Egypt, where all the great Kings of the New Kingdom reigned. Luxor Temple was constructed by numerous pharaohs over the years and was used as a place of worship for Egyptians, Christians and Muslims. Since many of the pharaohs lived and ruled from Luxor, it is fitting that nearby is where they built their burial chambers. The Valley of the Kings and the Valley of the Queens together house nearly 140 known tombs built far underground and large enough to hold all of the possessions the pharaohs would need in the afterlife. Also nearby and worth a visit are Karnak Temple and Queen Hatshepsut’s mortuary temple at Deir al-Bahari. Text from Laura of Savored Journeys. Text from Gui Varro of Traveltics. If you are into a good night hike, unbelievable starry skies, and memorable sunrises, you will definitely enjoy Mount Sinai in Egypt. Much more than a religious pilgrimage, the hike is packed with tourists from all over the world ready enjoy one of the planet’s most breathtaking sunrise and one of the highest points in Egypt. But don’t get me wrong, the hike isn’t for everyone, and in truth, it’s pretty exhausting. The whole experience is divided in two parts: The first is a medium level trek that can either be done walking or by camel, if you are willing to hire one for approximately 100 Egyptian pounds, and the second and most challenging part is a 1h30m climb consisted of several uneven stone steps. I would definitely recommend the night climb if you are OK to walk for hours wearing a headlamp or using your cellphone flashlight, as the only thing you will see for hours would be the countless stars on the sky. The ultimate prize will be the most beautiful sunrise you will probably see in your life and the instant recognition that you are over the clouds and really, but really close to the sky. If you are looking for world-class beaches, even better diving and snorkeling, sand dunes and plenty of sun, but prefer to get far away from the tourist hoards, go explore the villages lining the Red Sea in the South Sinai Peninsula. When it comes to finding things to do in Egypt that are off the tourist track, this is it. 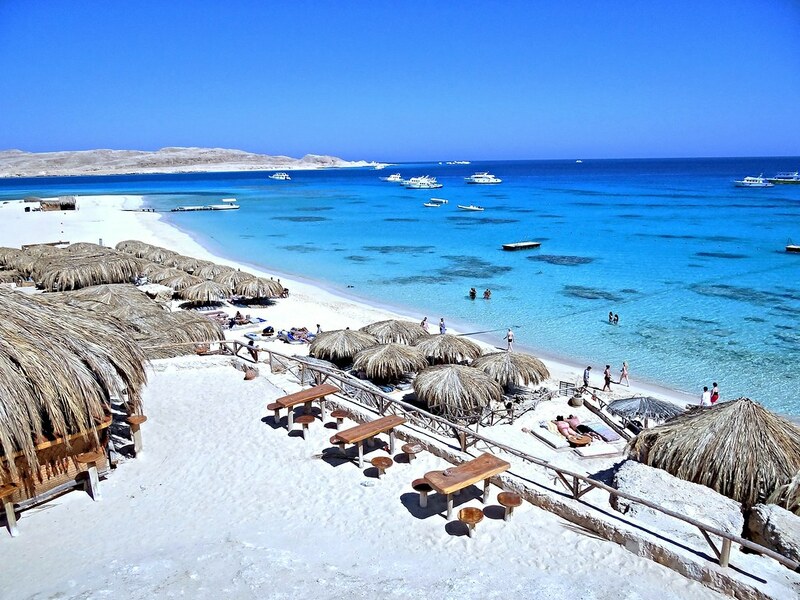 Everyone has heard of Sharm El Shiekh, as its the most popular resort town in the Sinai, but its, well, the most popular. 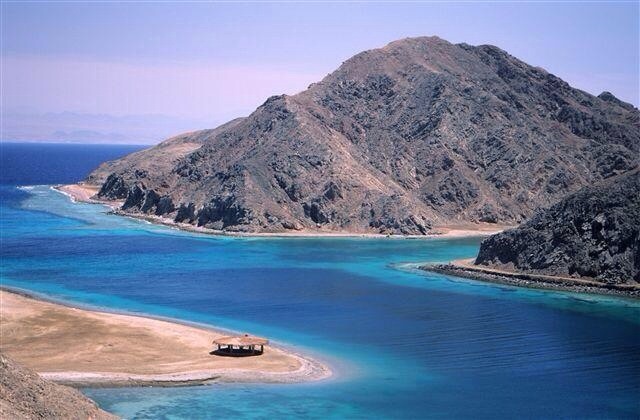 So except for flying in to there, it would be more fun to heard to Dahab to be based for your Sinai explorations. Dahab is amazing itself, and my favorite, but from there you can easily get around and visit more nearby towns and vilages that will have no tourists at all. Some of these villages are called Ras um Sid, Neiweba, Taba and a few more. Each on the coast, and each with amazing, and usually deserted beaches (Taba pictured above). 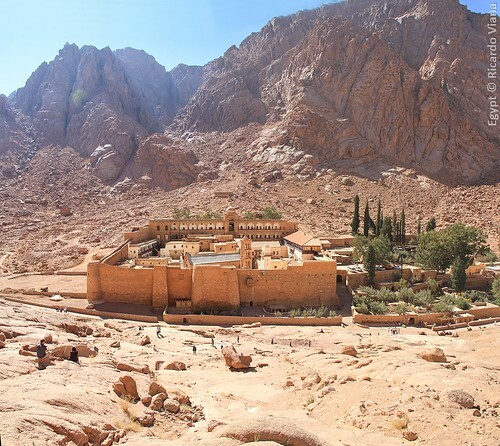 From Dahab you can easily get to St. Catherines Monastery and Mount Sinai where it is said Moses received the Ten Commandments, or even head to Israel, or take a ferry to Jordan. 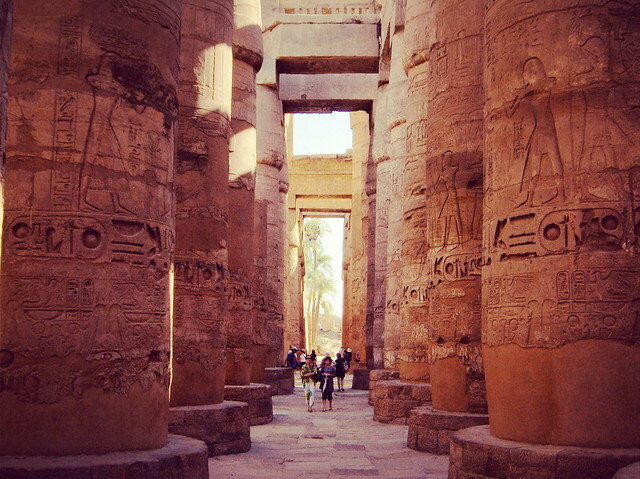 Some of the best things to do in Egypt are far off the beaten path! Text from Delia of Away She Goes. If you spend long enough in Egypt, you’ll eventually come across Siwa brand water bottles. If you look hard enough and drive far enough out toward the Libyan border, you’ll come across the Oasis itself. This remote town is a great way to see another side of Egypt beyond bustling cities like Cairo and Alexandria. Siwa has a unique culture that is a result of the Berber origins of many Siwans, and their relative isolation until the 1980s when a road was built. Be aware that there aren’t many options for accommodations or meals, and alcohol is expensive, hard to find, and held in low regard. If you want it, your best bet is to bring it with you and consume it in your hotel. Explore the old mud brick town of Shali in the center of Siwa. North of town is the Mountain of the Dead, a large mound housing many tombs. Outside of town is the Temple of the Oracle. 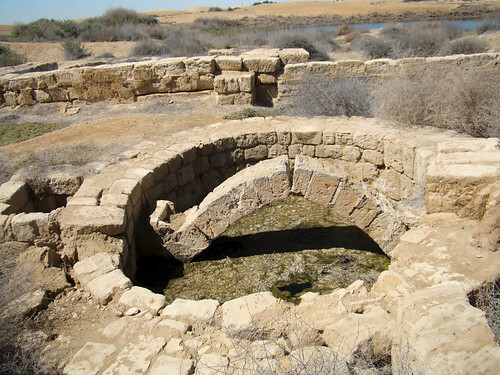 Nearby you’ll find several springs, including Cleopatra’s Bath, where you can jump in for a swim. 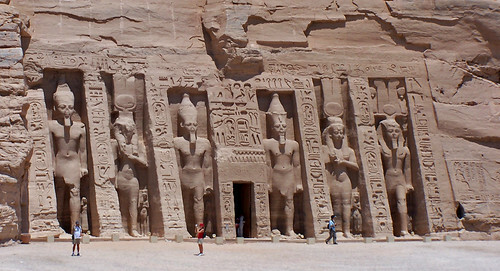 An ancient pharaonic temple located near Aswan, Egypt, Abu Simbel is one of the most incredible monuments in the world. Made up of two enormous and elaborately carved rock structures, Abu Simbel was originally built into the mountainside by Ramesses II in the 13th century BC as a way of showing his stature and greatness following a victorious battle against his neighboring enemies. 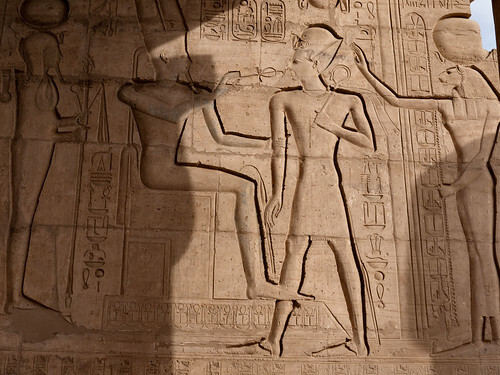 The main temple features four 20-meter-high seated statues of the pharaoh, though one is now missing its torso. One of the most intriguing parts of the temple is the way it was positioned in relation to the sun. 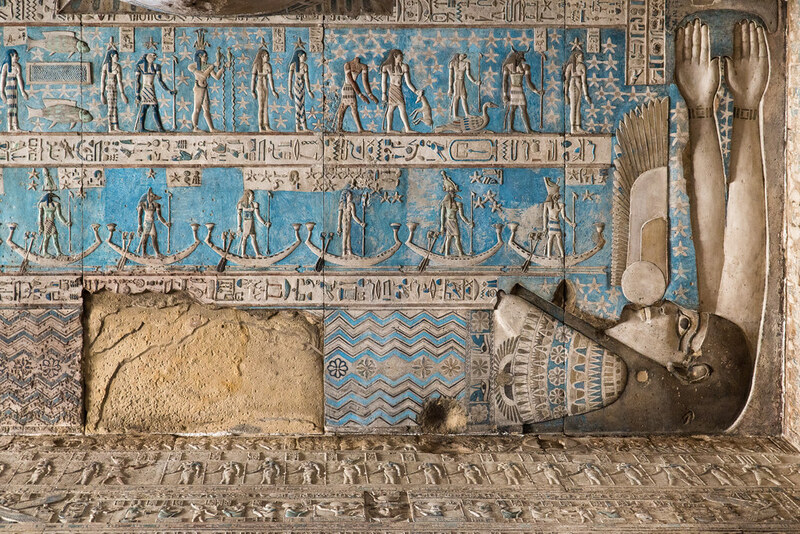 On October 22 and February 22, the rays of the sun shine into the building and illuminate the sculptures that are seated along the back wall (with the exception for the statue of Ptah, a god of the Underworld). In 1960, a campaign was launched to save Abu Simbel from being destroyed by the rising waters caused by the construction of the nearby Aswan High Dam. With the help of UNESCO, the entire complex was relocated to a position above the reservoir, which was no small feat. The temple was placed in exactly the same relation to the sun as it originally was, and it is safely out of the water’s destructive path. Text from Laura of Savored Journeys. One of the most popular activities for visitors to Egypt is a cruise on the Nile River. Most cruises leave from Aswan, head downriver (North) and end in Luxor. 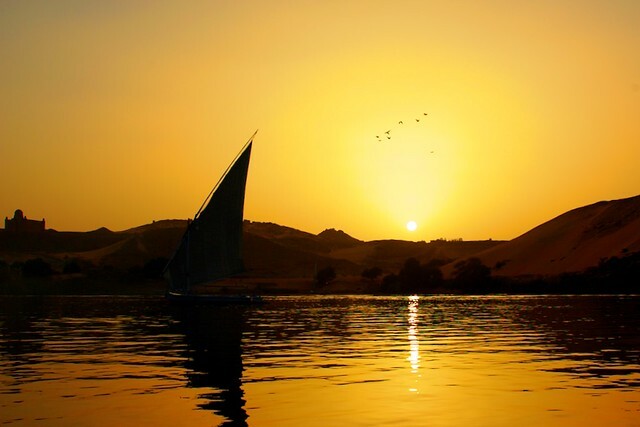 While the mystique of Nile cruising is to board a traditional felucca sail boat, most visitors opt for one of the modern three-story river cruisers. We spent two days in Aswan visiting the Nubian Museum and exploring the back alleys of the local market. Many visitors rush their time in Aswan, but we loved our time here and would encourage visitors to plan a few days here. For our cruise, we arranged to spend a day sailing the Nile around Aswan in a felucca before boarding a modern cruising ship to visit Kom Ombo, Edfu and then Luxor. This gave us the chance to experience both types of Nile River cruises. This was a highlight of our trip to Egypt! – Text from Lance & Laura Longwell from Travel Addicts. There are many awesome dive sites around Egypt such as Tiran Island, Thistlegorm, Ras Mohamed National Park and many more, but my favorite area by far is Dahab. It has many insane dive sites, such as the world famous Blue Hole. But another reason I love it is that its all shore dives that are all nearby and require no big deal to get to. I would wake up, go down to the dive center and get my gear then walk right out to a world class dive. There are also a lot of great wreck dives. The most famous is obviously the SS Thistlegorm wreck, discovered by Jacques Cousteau, but there are more as well. Here is a list of all the ship wrecks in The Red Sea of Egypt. I would not go to Egypt without hitting the reef! Diving is my number ONE favorite things to do in Egypt by far. This is another really popular thing to do in Egpyt, because the deserts here are like nothing else you’ve experienced. I myself have taken a few different kinds of desert safaris, and if you have the right guide, this can be an amazing experience. Your hotel, in probably any city in Egypt, can hook you up on a guided desert safari, almost always with a local Bedouin or two, who will take you out and show you a desert, usually topped off with an amazing star-gazing opportunity and a Bedouin cooked dinner. All these things combines make for an awesome experience. In another section of the first floor is an extensive display of the royal mummies, including items from their tombs and the Valley of the Kings. While the museum itself is not in great condition, the items housed within are certainly worth going there for, and is one of the most educational things to do in Egypt. Text from Laura of Savored Journeys. Hurgarda is the biggest of the two, and is much more touristy. There is nearly 20 kilometers of resorts and dive centers lining the shores with plenty of things to do. Most come either to relax on awesome beaches or to go diving, but due to over-use, the best diving is far off shore. But those dives are incredible. The smaller El-Gouna to the north is a more relaxed and a little less touristy. It is suppose to be more oriented around nature, and word is that all hotels in town have been awarded the Green Globe Award. Many come here to relax on amazing beaches, go diving, and the major Egyptian tourist attractions are all within hours of town. If you are looking for relaxing, beachy things to do in Egypt, maybe El-Gouna is where you;ll find it. 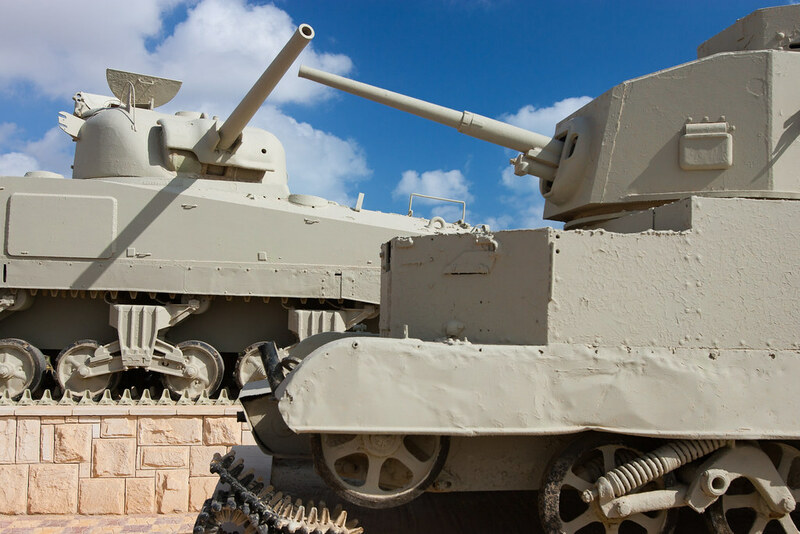 Located 106 kilometres (66 mi) west of Alexandria and 240 kilometres (149 mi) northwest of Cairo, El Alamein was the front for two massive battles during WW2, the first on 1 – 27 July 1942 and the second on 23 October – 4 November 1942. These were huge fights, were thousands of people lost their lives, both on German and Italian sides and well as the Allies. Today the city holds some major war memorials and museums you need to visit, that commemorate the dead. After the second battle, basically between to generals, Rommel and Montgomery, Winston Churchhill said “Now this is not the end; it is not even the beginning of the end. But it is, perhaps, the end of the beginning.” After the war he was quoted as saying “Before Alamein we never had a victory. After Alamein, we never had a defeat.” When it comes to the things to do in Egypt, this is a more modern history than the rest of Egypt, however its not one we should forget. Most, if not all, know about the Great Pyramids of Giza, as they are the most popular places to visit in Egypt, But did you know there are actually 7 UNESCO World Heritage Sites around Egypt? All are worth a visit, and some are the most interesting things to do in Egypt. Abu Mena was a town, monastery complex and Christian pilgrimage center in Late Antique Egypt, southwest of Alexandria. Its remains were designated a World Heritage Site in 1979. There are very few standing remains, but the foundations of most major buildings, such as the great basilica, are easily discernible. Thebes, the city of the god Amon, was the capital of Egypt during the period of the Middle and New Kingdoms. With the temples and palaces at Karnak and Luxor, and the necropolises of the Valley of the Kings and the Valley of the Queens, Thebes is a striking testimony to Egyptian civilization at its height, and is a must see when in Egypt. To many, this is even more beautiful and mysterious than the Great Pyramids. Make sure its on your list of top things to do in Egypt! Though the Pyramids were the only thing Cairo had to offer? Nope. Inside the modern urban area of Cairo lies one of the world’s oldest Islamic cities, with its famous mosques, madrasas, hammams and fountains. Founded in the 10th century, it became the new centre of the Islamic world, reaching its golden age in the 14th century. Don’t leave Cairo without checking it out first! You thought I would forget the Pyramids didn’t you? The capital of the Old Kingdom of Egypt has some extraordinary funerary monuments, including rock tombs, ornate mastabas, temples and pyramids. In ancient times, the site was considered one of the Seven Wonders of the World. These are on the bucket list of things to see for many a traveler, and for good reason. This outstanding archaeological area contains such magnificent monuments as the Temples of Ramses II at Abu Simbel and the Sanctuary of Isis at Philae, which were saved from the rising waters of the Nile thanks to the International Campaign launched by UNESCO, in 1960 to 1980. In my opinion, Simbel is much more beautiful and grandiose then the famous Pyramids, yet many less people know about or travel to them. These are sites to behold. I am sure when you were writing your list of things to do in Egypt, this was on the top of that list! 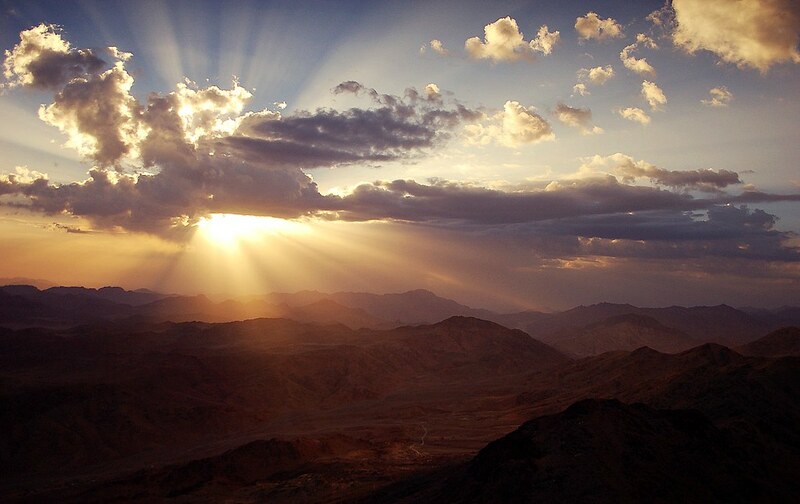 The St. Catherine Monastary is at the foot Mount Horeb, or “Moses Mountain”; the biblical mountain where Moses received the ten commandments. The mountain is known and revered by Muslims as Jebel Musa. The entire area is sacred to three world religions: Christianity, Islam, and Judaism. The Monastery, founded in the 6th century, is the oldest Christian monastery still in use for its initial function. St. Catherine is popular for non-religious people as well, as it is said to have one of the best sunsets/sunrises in the world. It’s definitely a place to visit! Wadi Al-Hitan is a paleontological site in the Al Fayyum Governorate of Egypt, about 150 km southwest of Cairo. It was designated a UNESCO World Heritage Site in July 2005 for its hundreds of fossils of some of the earliest forms of whale. No other place in the world yields the number, concentration and quality of such fossils. Now, either by 4×4, camel or by foot, you can visit the Wadi Al-Hitan protected area and see the ancient bones. Definitely an off-the-beaten-track place that you should visit. Just goes to show that some of the best things to do in Egypt are far off the beaten track! Super helpful!! Also, I’ve always wanted to visit Egypt, and this is the perfect starting place for planning a trip! When you are ready for to do anything then go for Egypt.